Click here to view Peggy's Mass of Christian burial. 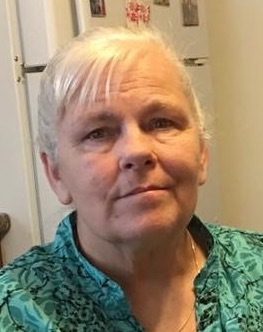 Peggy Lou McTague, 64, of Aberdeen, passed away Tuesday, September 11, 2018, at Aberdeen Health and Rehab. Mass of Christian burial will be 10:30 a.m., Monday, September 17, 2018, at Sacred Heart Catholic Church, 409 3rd Avenue SE, Aberdeen, with Father Patrick Grode as celebrant. Peggy’s wishes were to be cremated with interment taking place at Sacred Heart Cemetery. Schriver’s Memorial Mortuary and Crematory, 414 5th Avenue NW, Aberdeen, is in charge of arrangements. Friends may sign Peggy’s online guestbook and also view her service via the live stream service link at www.schriversmemorial.com. Peggy Lou Davis was born October 4, 1953, in Washington, PA, to Frank and Geraldine (Woodburn) Davis. This is the area where she was raised and attended school. Following high school graduation, Peggy moved to West Palm Beach, Florida. While living in Florida, Peggy met her soul mate, Thomas McTague. Peggy and Thomas were united in marriage on September 11, 2004. The couple made their home in Florida until Thomas’ retirement from the VA Hospital in 2012, at which time they moved to Aberdeen. Peggy continued to reside in Aberdeen until the time of her death. In her spare time, Peggy enjoyed shopping and cooking. She also had a very outgoing personality and loved visiting with everyone. Grateful to have shared in Peggy’s life is her husband of 14 years, Thomas McTague of Aberdeen; two brothers: James Davis of Jensen Beach, FL and Frank (Sherry) Davis of Manassas, VA; and one sister, Sandy (Steven) Eckstein of Jensen Beach, FL. Peggy was preceded in death by her parents, Frank and Geraldine; and one sister, Jan.